Thankfully, now that we’re a couple of years removed from Apple opening the keyboard market to third-party developers, anyone in search of something new has a few worthy alternatives to choose from. As someone who recently switched from Android to iOS, I’m one of them. So, for everyone’s benefit, I went on a search for the best of the bunch. A few caveats before we settle in: First, I stuck to the free stuff; Minuum and Swype are ok, but as we’ll see, you can get something very good without dropping a dime. Second, I only considered boards that are actually made for typing. (Sorry, Kim.) Finally, WWDC is just around the corner. If Apple refreshes things, I’ll update. With that said, here’s how the iOS keyboard landscape breaks down today. 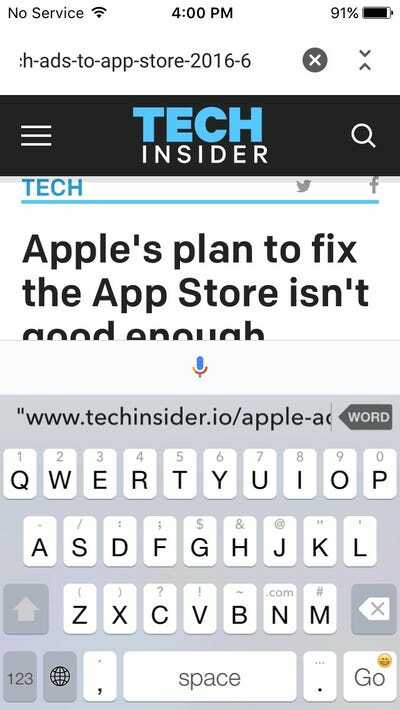 CoolApp's Blink Keyboard has good things going for it. It's spaced out well, in a manner very similar to Apple's default keyboard. It's got a one-handed mode that lets you quickly crunch the board over to one side of the screen. 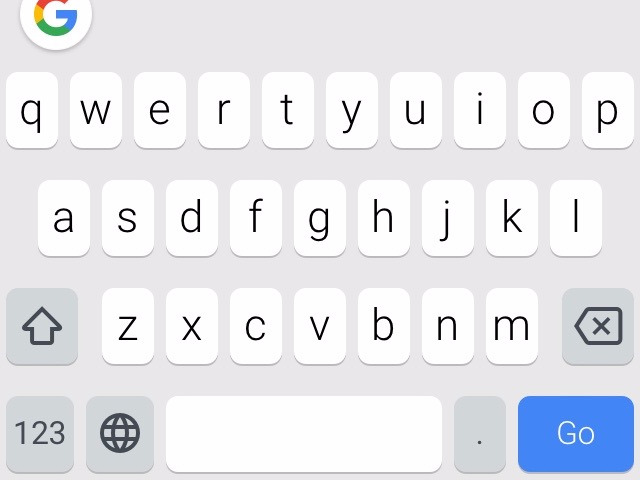 There's a nifty 'fast delete' button that erases whole words at a time, and you can create shortcuts for phrases you type frequently. That's all great. Actually typing with it is not. Its word prediction and overall accuracy can be rough; motions I'd use reliably with my top picks would too often result in gibberish here. There's also no trace typing support -- that is, when you slide your finger across the keyboard to form words, rather than tapping each key individually -- which handicaps one-handed use from the jump. All of that is a non-starter. But again, it can get a bit too sloppy for comfort. I had multiple instances where 'be' came out as 'bbs,' to give you an idea. It's fine, but when the options below exist, there isn't much incentive to go out of your way for it. 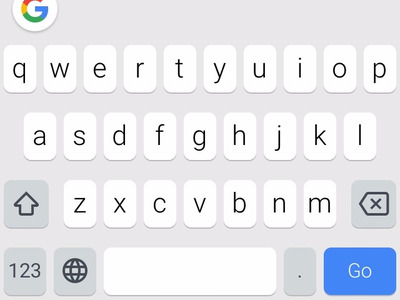 TouchPal is the most fun keyboard on the list. It's got a metric ton of themes, many of which are goofy -- the one above makes a Super Mario jump sound with every key press -- but altogether cute. If you're a total narcissist, you can even upload your own photos and set those as backgrounds. 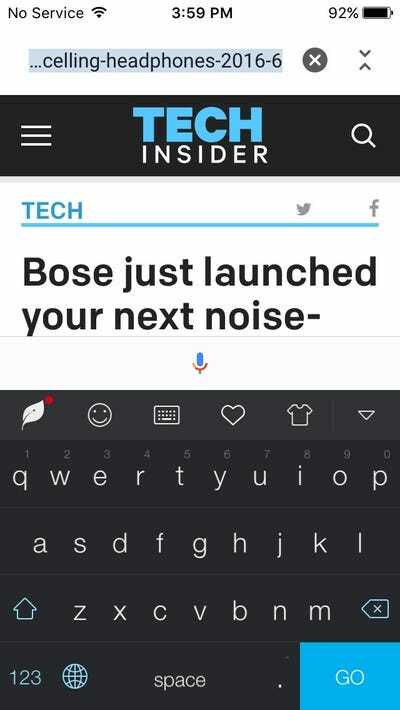 There are lots of languages, and TouchPal says it doesn't keep any info on what you type, which should sate the privacy conscious. The board itself is good. It supports trace typing, has a mostly useful autocorrect, and is generally more forgiving than the two boards above. It's just not as natural feeling as what's below. If you're a faster typer (like me), you'll have to go back to fix a wrong prediction or weird spacing a little more often. Unless customisation is a big deal, you can do better. The default iOS keyboard is good for what it is -- but what it is is boring. If you can get by with touch typing, it's still smooth and accurate, as you'd expect from native software. You won't have any crashes or lagging here. 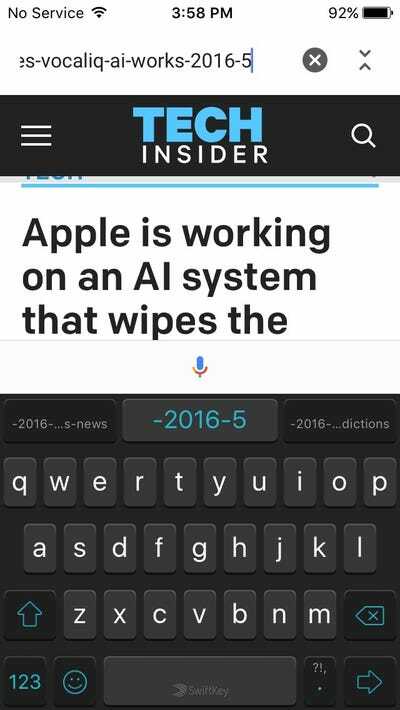 Its autocorrect and predictions are good, and the fact that it gives different word suggestions based on what app you're using is cool. 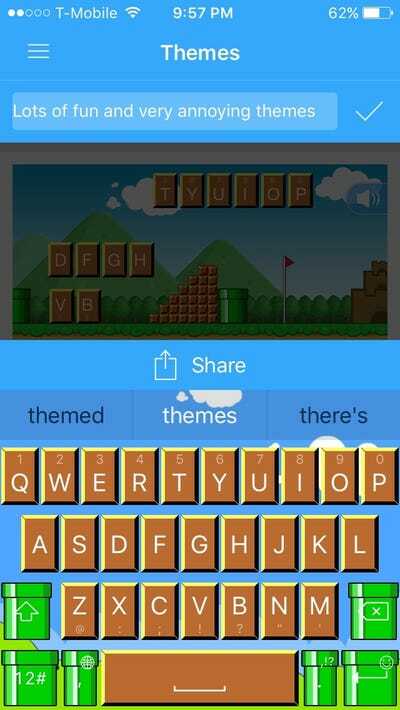 Fleksy is like a leveled-up version of Apple's keyboard. It's not quite as smooth, and it still lacks trace typing, but it performs close enough, and it tacks on a bunch of useful extras. 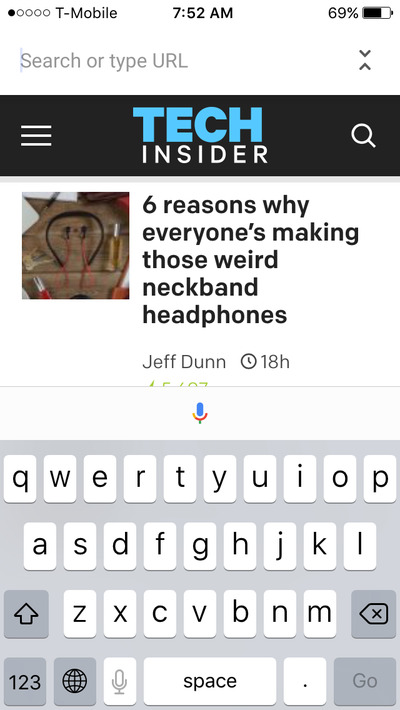 There's a built-in GIF search, a one-handed mode (which, again, is inherently limited without tracing), hotkeys, wide language support, different fonts, and so on. You have to pay a few bucks to use everything, but the four 'extension slots' you get for free are fine. That's because it adapts to your habits, internalizing your usual movements and silently adjusting the size and orientation of its keys accordingly. You can sync it with apps like Facebook, and Gmail to personalise it even further. It's like pressing your fingers into a virtual mould of clay. 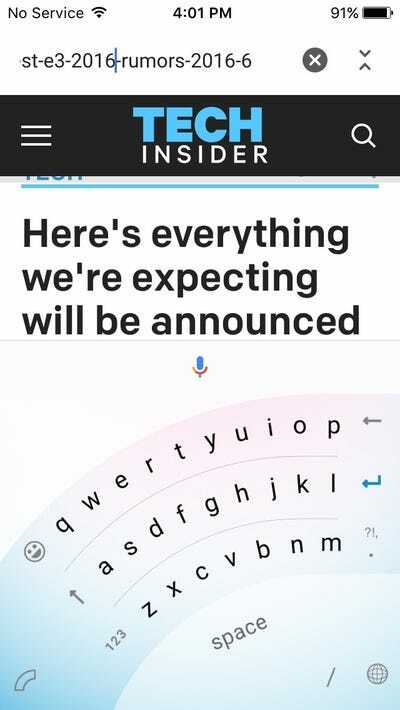 I had moments where it'd take an extra second to load, and getting this level of accuracy means letting SwiftKey remember what you type, but if you don't care about anything beyond putting words onscreen -- or you live outside the US -- you can stop here. ...You should download Google's Gboard. Apart from being a shrewd business move, it's just thoughtfully designed. 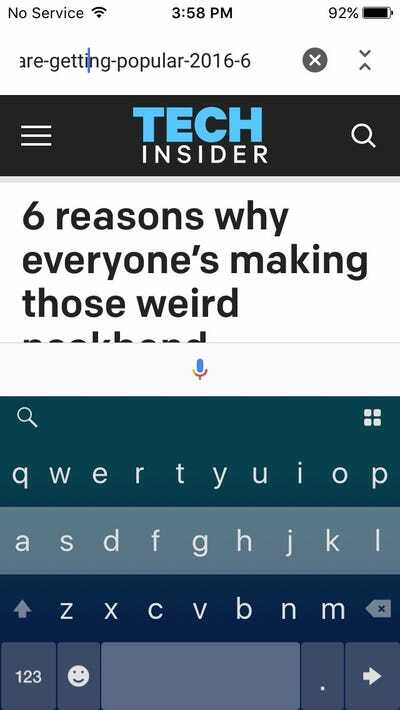 Even if it's not as hyper-personalised as SwiftKey can be, it's still very quick, very smart, and very clean. 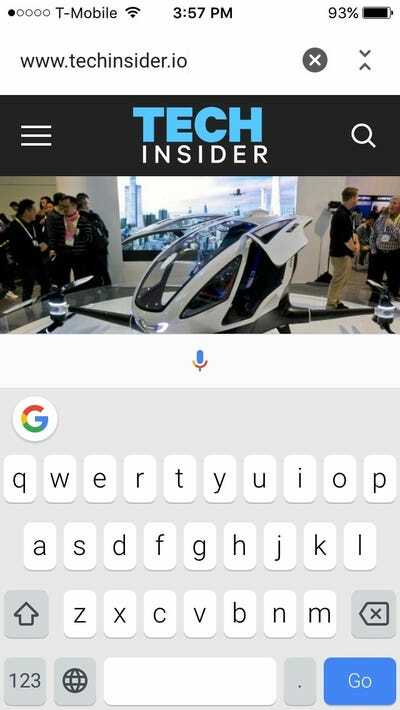 As we've noted before, though, Gboard also lets you Google search right from the board, tapping into the search giant's vast array of links, images, GIFs, and emojis. This is what puts it over the top. All of those are laid out on neat little cards, and can be quickly pasted wherever they're relevant. You have to submit to Google's mother brain (and be online) for it to work, but it's the kind of thing that's hard to give up once you dig in.